Each group must provide one vehicle for every seven people (a work team of 5 youth and 2 adults). The vehicle must be in good operating condition, and have working seat belts for all seven people. It must also have room to transport tools, ladders, worksite supplies, water cooler, and ice chest. With this in mind, please plan to bring only 15-Passenger vans or Suburban-sized SUVs. 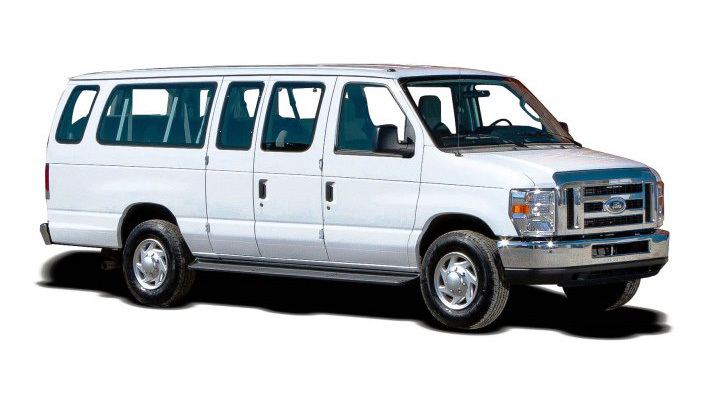 See www.ctcym.org under the section For Group Leaders for suggested van rental information. It is recommended your group reserve their van(s) 4-6 months in advance of their planned trip. Each vehicle must be insured for liability and collision with proof of insurance in the vehicle at all times. CTCYM assumes no liability for damage or accidents to vehicles while on the trip. Be sure to check with your church on any additional requirements they may have i.e. required amounts, ages of drivers, etc. The Central Texas Conference Mission Support team strongly encourages that you do a comparison of prices, services and perks provided by a van rental company before making your final decision on which company to employ. Rod is a former youth director in the North Texas Conference who understands the unique needs of youth ministry trips. "Summit Quest will get you the best rate (we have the lowest rates available in North America) and availability (in terms of where you pick up vans). We are the only authorized travel professional working with CAPPS. We offer delivery of vehicles for larger orders and provide rental of ANY size vehicle with Enterprise. You can rent everything from an exotic sports car to BOX truck and anything in between." Easiest and best way to get quote: http://gosummitquest.com/book-travel/#booktravel (be sure to include church name, your name, pick-up and drop-off dates, destination, vehicle type desired, and notes such as needing tow package or removal of back seat, etc.) Booking early gets you the best rates!